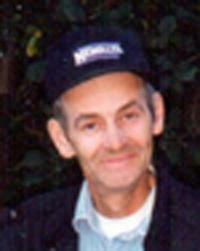 MYLES ALBERT DUNN, born December 10, 1948, passed away peacefully on Tuesday, September 4, 2012. He was the loving husband of Diane Dunn and the beloved father, father-in-law, and grandfather of James, Jesse (Megan, Parker, Caleb, Taylor), Sharlette and Christopher (Antonia, Cohen, and Éowyn) and Cindy and Bryce (Karsen and Cannon). Myles enjoyed collecting old cars and sharing his knowledge with his grandchildren. He loved documentaries, World War II movies and war planes. Myles loved his children and grandchildren, and was so proud of them. He was hard-working, determined, and strong-willed. Myles had an awesome sense of humor, which was evident in his great laugh and dancing eyes. A calling reception celebrating Myles’ life will be held on Saturday, September 8, 2012 starting at 4:00 p.m. at the RAYMOND SENIORS CENTRE, 55 E, 100N, Raymond. His ashes will be interred at the Olds Cemetery with his parents and brothers. Our condolence for your loss.